What do a mobile app to efficiently deploy National Guard troops following a natural disaster, a data visualization tool to map opioid hotspots and a game to get children exercising and eating healthy have in common? They are all projects imagined and prototyped by students participating in the 2017 NIU Huskie Hack, which took place from Nov. 4 to 5, 2017, at NIU’s Holmes Student Center. The 269 student hackers who participated were tasked with developing innovative solutions to health- and wellness-related challenges, ranging from Aging in Place, to Public Health and Crisis Management, to Active Design to Combat Chronic Obesity. The students responded with creativity, energy and focus. Fifty teams of students gathered around tables bristling with technology in the Duke Ellington Ballroom and worked together around the clock to research, build and test their innovative projects. During the 24+ hour coding event, 128 NIU and community volunteers were on hand to mentor students, offer logistical support and—at the end—judge the 37 projects submitted to compete for awards. 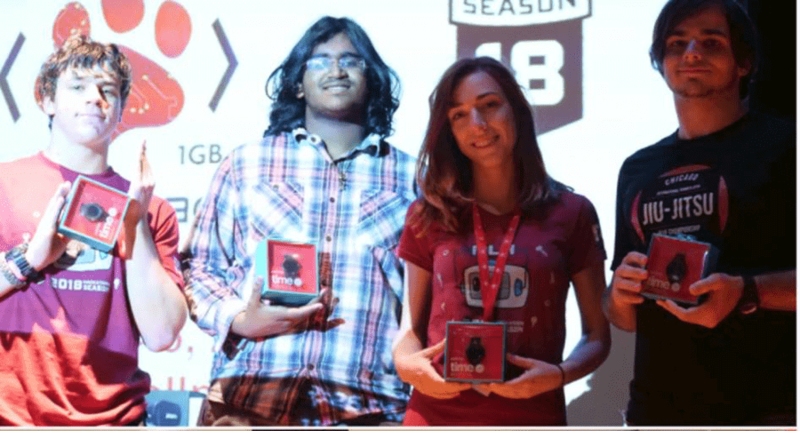 NIU sophomore Kristen Arms, a computer science major, participated in one of the prize-winning teams. 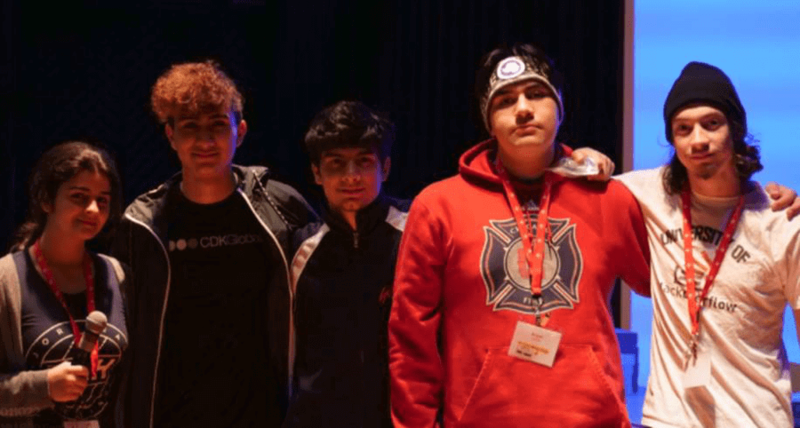 Arms collaborated with fellow NIU computer science major Jordan Rego, a senior, and Hinsdale Central High School students Praveen Balaji and John Moran to create a data visualization mapping tool and mobile app. The tool, which they call VisuaLives, uses opioid prescription and overdose data to map opioid hotspots, allowing law enforcement and health professionals to focus community education and outreach efforts on areas in particular need. Arms says, “Hackathons are so much fun for me because I love working towards a goal on a deadline. Plus, everyone applying for the jobs I want has a computer science degree and generally similar coursework, so a way to stand out from others is through things like the Huskie Hack to prove myself and show what I can do.” The team won an award for effective visualization of data, as well as an award for Best Use of Amazon Web Services, sponsored by the official student hackathon league, Major League Hacking. Another prize-winning Huskie was NIU junior Alex Boyle (major computer science, minor mathematics), whose team won the Major League Hacking Award for Best Use of Domain, sponsored by Domain.com. Boyle partnered with Robin Rivera, Julio Rodriguez and Danny Rodriguez from Morton West High School to develop their app, Global Medical. The app consolidates personal medical data from multiple patient portals and displays it in an organized and readable format. The VisuaLives team developed a data visualization mapping tool and mobile app that uses opioid prescription and overdose data to map opioid hotspots, allowing law enforcement and health professionals to focus community education and outreach efforts on areas in particular need. The Global Medical team created a mobile app that consolidates personal medical data from multiple patient portals and displays it in an organized and readable format. The Justfoodit team developed an app to encourage kids to eat healthy and exercise in order to earn points. According to NIU graduate student Shekinah Bergmann (master’s in industrial and systems engineering, 2018), teamwork and time management were essential to her team’s development of an award-winning mobile app, National Guard Hurricane Response. Bergmann joined forces with fellow NIU students Shashwot Uprety and Andrew Wright, as well as Robert Frost Jr. High School student Aahana Goswami, to develop the app, which enables faster National Guard response to hurricanes and other disasters by routing immediate rescue and follow-up relief efforts. “It was definitely a team effort,” says Bergmann. 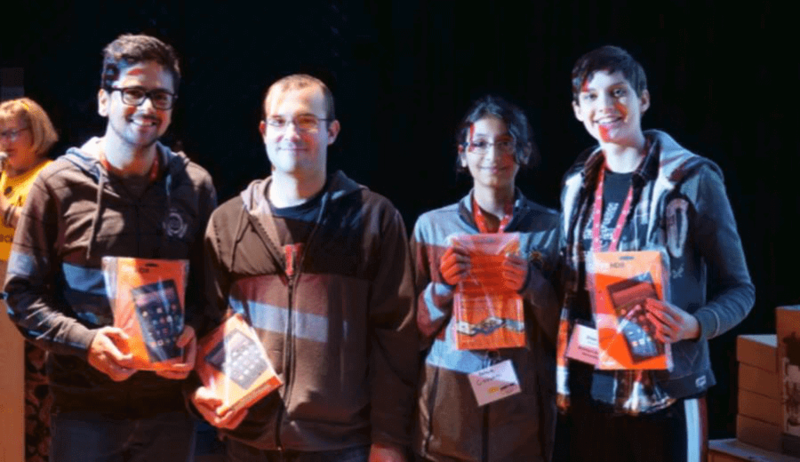 “I provided the vision, Andy collected pertinent information, Shashwot developed clustering algorithms in Matlab, and Aahana created the interface in Python. It was great to get to know Aahana, a middle schooler who joined our team that night. She is very talented and we wouldn’t have been able to complete the project without her.” Their team won an award for effectively using public or private data to create an application for use in a crisis such as the recent hurricanes. 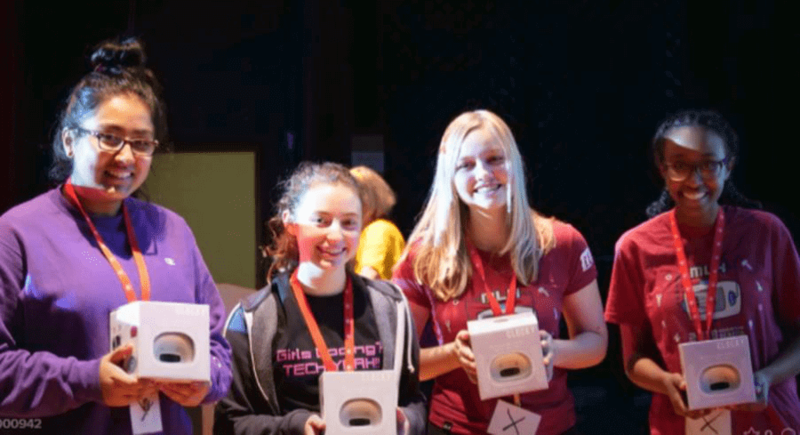 Another prize-winning app was developed by a team of high school women: Allison Vogt of Kaneland High School and Nikki Agarwal, Michelle Alemu and Isabella Maki of St. Charles North High School. The app, Justfoodit, encourages kids to eat healthily and exercise in order to earn points. It won an award for addressing the challenge of childhood obesity. The Huskie Hack would not have been possible without the support of generous sponsors: Discover, Syndeo, Oracle, CDK Global, Traditional Medicinals and CDW-G. The event is hosted by NIU’s Center for P-20 Engagement and the NIU Division of Information Technology.